Laminate floors are beautiful, extremely durable, and easy to clean. 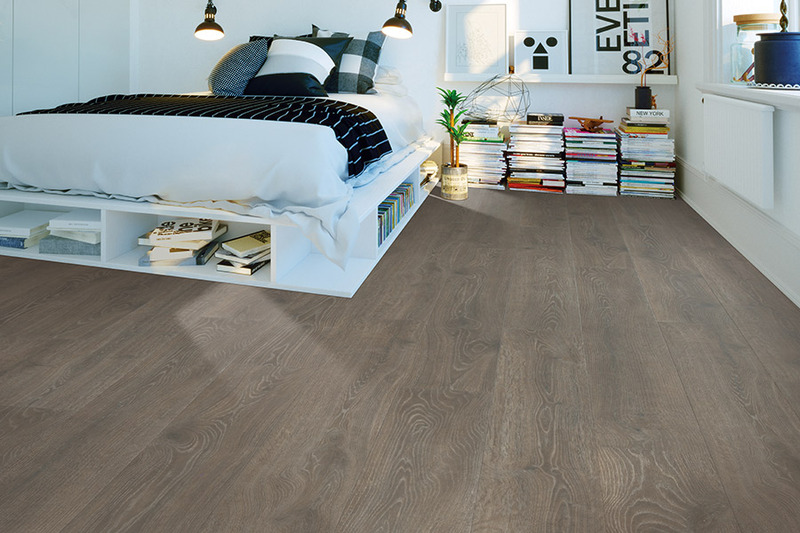 Laminate is well suited for high-traffic areas, busy family kitchens, and homes with children and pets. Laminate is fast becoming a favorite alternative in many interior decorating plans. 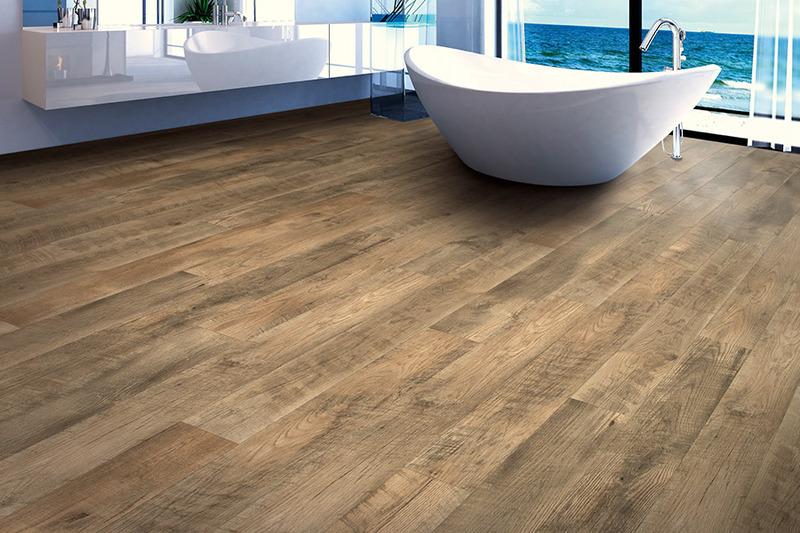 Laminate flooring can show the texture of ceramic tile and stone. 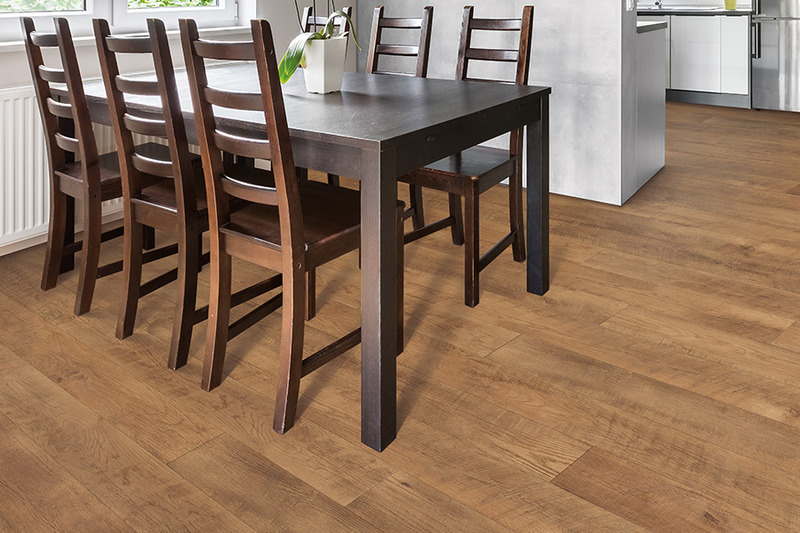 If you love the look of real hardwood, but are concerned with maintaining its appearance, laminate is an alternative. Wood-look laminate flooring is made to look like wood, but the decorative layer is actually a photograph. Like hardwood, laminate is available in various widths and lengths and is less expensive than real wood. Most laminates have four-ply construction: a backing or balancing layer, a moisture-resistant wood-based core of high- or medium-density fiberboard, a decorative layer, and a wear-resistant layer of melamine resins. Laminate flooring manufacturers use sophisticated, computerized technology to create realistic designs. Laminate floors are well protected by a tough outer coating that resists most stains, spills, burns and are extremely scratch-resistant. 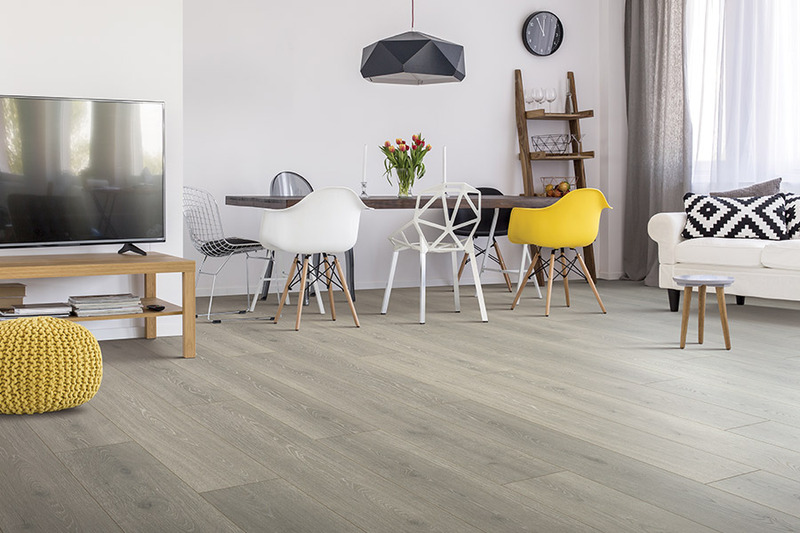 These floors come in both planks and tiles and can be floated over most substrates which include concrete slabs and existing floor coverings. 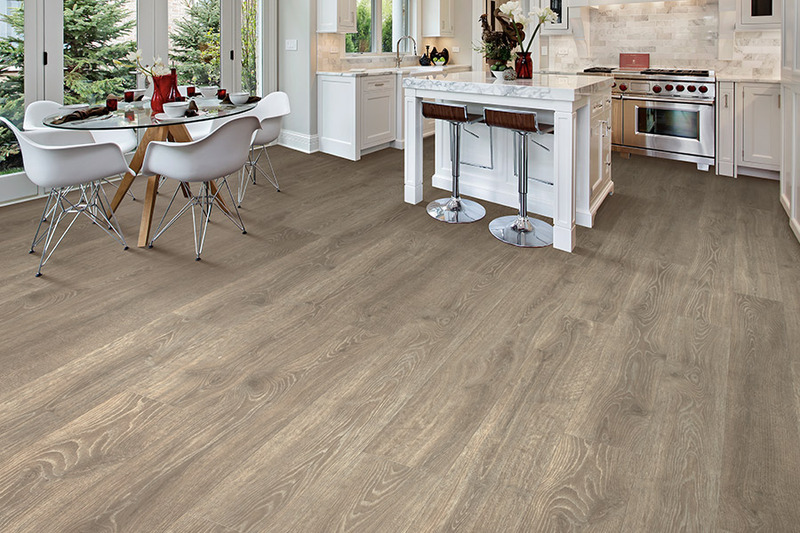 Laminate is easy and quick to install because of its glueless installation. Laminate comes with a type of tongue and grooved locking system which “clicks” into position. All laminate floors require an underlayment that is installed directly underneath the laminate planks or tiles. This helps the floor float freely over the subfloor, adds a vapor barrier and aids in noise reduction. 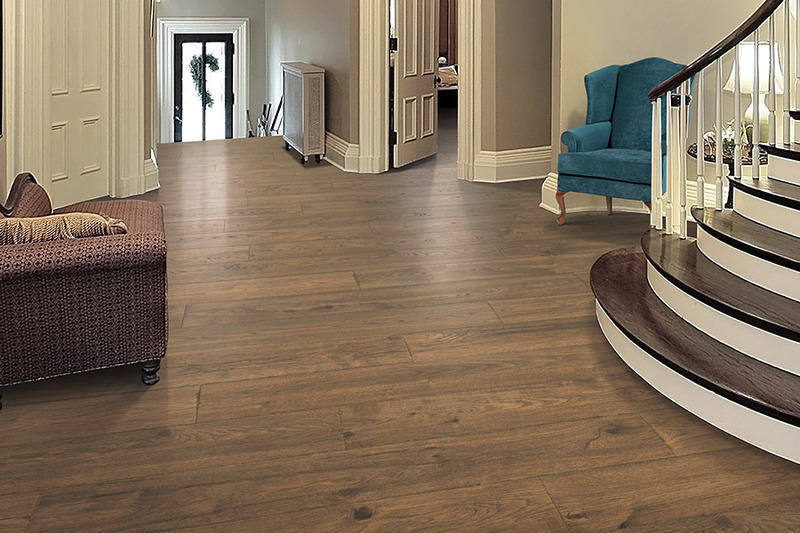 The flooring experts at your Sharp Carpet + Hardwood & Tile can show you a wide variety of laminate flooring.